Check back frequently for information about the latest trade shows and conferences that Nila representatives will be participating in. All schedules are subject to change without notice. If you have an event that you think would be a good fit for Nila, please reach out to us by using the contact form at the bottom of the page HERE. Did you miss our booth at NAB 2019? We’ve got you covered! The big reveal was the prototype for the new Zaila Bi-Color fixture, due out later this year! We’re at NAB 2019! 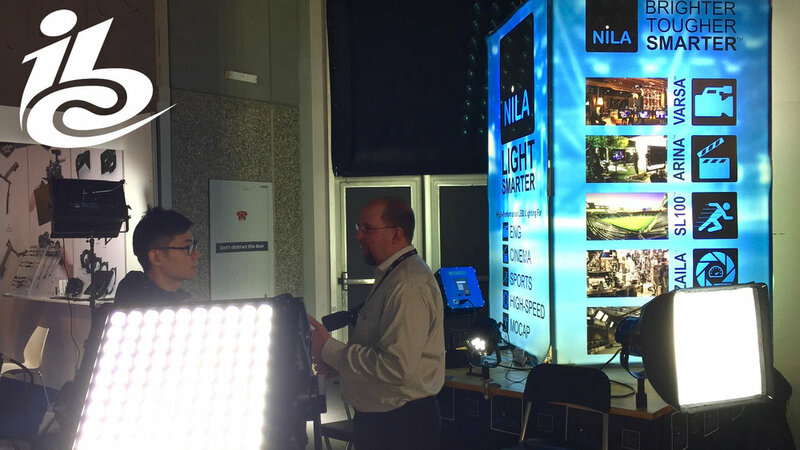 Stop by Booth C8440 and check out the best in professional LED lighting from Nila! Nila is very proud to have been named one of the 15 elite, early-stage companies most worthy of funding from investors and strategic partners. Over 2500 companies applied to the Pepperdine Graziadio School of Business competition, but only 15 made the cut. As a winner on Most Fundable Companies List, Nila will be profiled on Entrepreneur.com and will be featured in the November print issue of the magazine. The Most Fundable Companies initiative involves a multi-phase assessment that evaluates financial projections, market opportunity, intellectual property and the strength of the management team, all of which are used to produce a fundability score. The top 15 companies were selected in partnership with The Venture Alliance based on their readiness for private investment. Honorees on the inaugural list are located across the country and come from a variety of industries including telecommunications, blockchain, and construction. Learn more about the Most Fundable Companies list here. Read the LA Business Journal Article here. Nila has entered the FedEx Small Business Grant Contest! This contest recognizes and rewards incredible small businesses from across the country. Won't you please vote for us? We're currently offering all of our Deluxe Daylight Kits at special, discounted prices through participating dealers. Take advantage of these discounts while supplies last! Once again, Nila will have a strong presence on the NAB show floor. We'll be spotlighting the all-new Varsa fixture. The new Varsa gives everything the previous Varsa was known for, with the addition of a weatherproof housing and a new control system that utilizes RDM. Be sure to check out the Fujinon and JVC booths as well as the Studio Xperience stage if you'd like to see real world setups with our lights in action. And don't miss our amazing NAB show special: All Nila daylight fixture deluxe kits will be on sale this year! For more information, visit https://www.nabshow.com/ and use promo code LV8283 to obtain free passes for the exhibit floor. Our home town trade show is always a lot of fun. Everyone enjoys visiting the Paramount back lot to see what's new each year. We look forward to seeing all our old friends and making some new ones this year! Relevant industry sectors include manufacturing, academic research, energy, biotech, aerospace, and ballistics. We'll be at Europe's biggest and best media, entertainment and technology show again this year, showing off our latest gear and making new friends. We hope to see you there! For up to the minute updates, be sure to follow us on Facebook, Twitter, & YouTube.